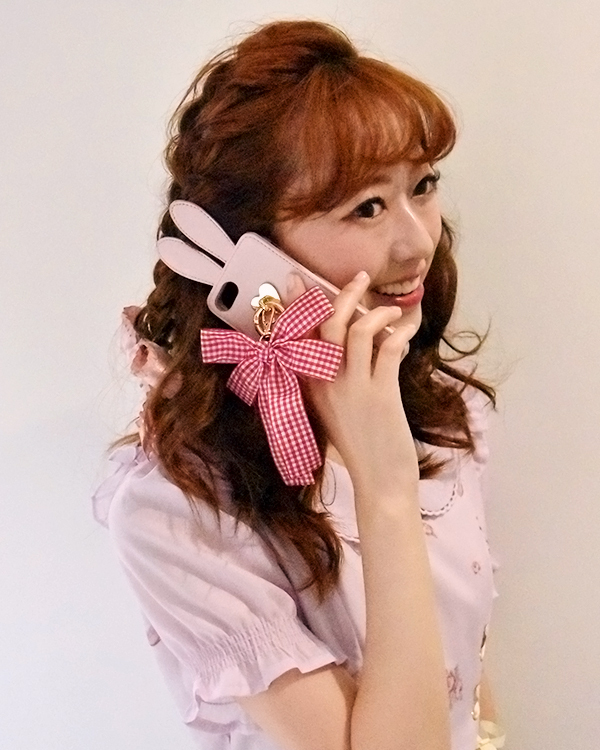 Very popular each time, rabbit ears Iphone case is back and even more cuter. A gingham check ribbon charm is attached on the back of the case! A cute little bunny case from any angle. Four colors available. Compatible with Iphone 6/7/8.